The articles published in Quality in Primary Care have been cited 2027 times by eminent researchers all around the world. 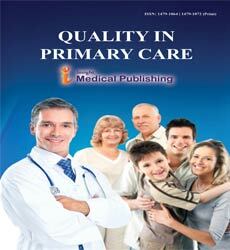 Following is the list of articles that have cited the articles published in Quality in Primary Care. Hansen DG (2003) The Nordic method for quality improvement in general practice. Quality in Primary Care 11: 73-78. Wilkie P (2003) Quality in general practice: patients and continuity of care. Quality in Primary Care 11: 67-68.